Kasha-Katuwe Tent Rocks National Monument, located 40 miles southwest of Santa Fe, New Mexico, is a Bureau of Land Management (BLM) managed site that was established as a U.S. National Monument by President Bill Clinton in January 2001 shortly before leaving office. 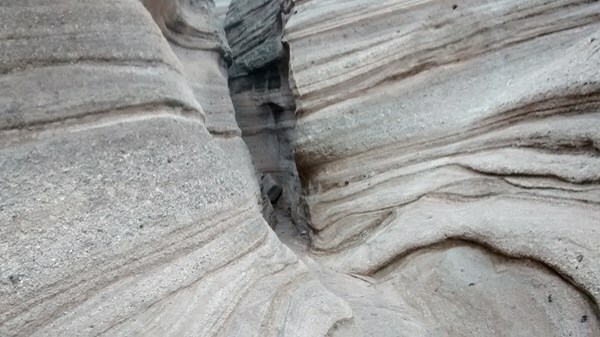 Kasha-Katuwe means "white cliffs" in the Pueblo language Keresan. 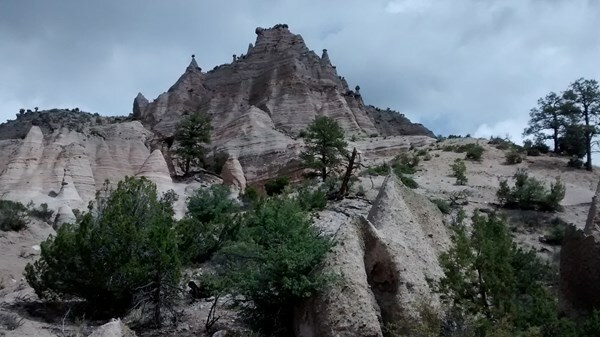 This description uses material from the Wikipedia article on Kasha-Katuwe Tent Rocks National Monument and is licensed under the Creative Commons Attribution-ShareAlike License (view authors). That's me by one of the cones. Highly recommend you visit Tent Rocks. Very impressive slot canyon you can hike as well. 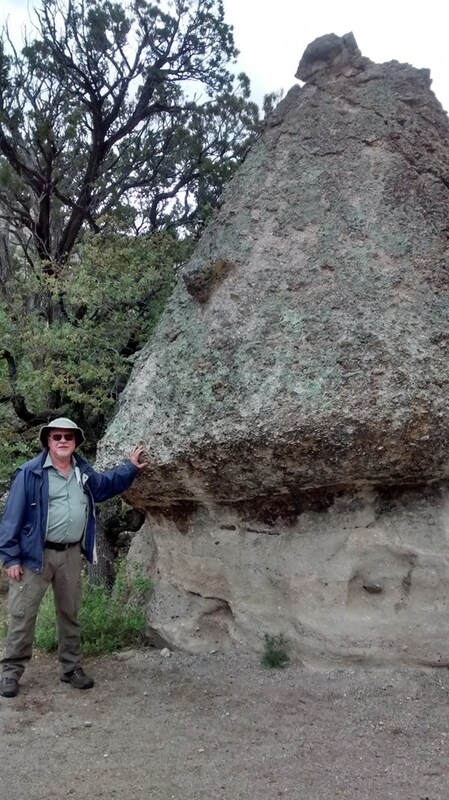 Great view of some of the pumice cones. Some have harder rocks on top of them.